The premium chip. Phenomenal performance and quality. Fine tuning makes the difference! Even nominally identical engines often perform slightly differently. This can be down to manufacturing tolerances, the number of kilometres covered or the quality of the fuel. So that your RaceChip works perfectly with the engine in your car, we have developed fine tuning mappings. They mean that you can fine-tune your GTS or GTS Black to match your engine’s performance and characteristics perfectly. The app control feature lets you download the pre-programmed settings right from our servers. The Race Chip app lets you set up your car as you want; just select the tuning stage from your smartphone. The app can also deactivate the RaceChip, returning the car to stock tune. App control for your RaceChip is available for just 50 USD. The indicated performance gains and fuel efficiency gains are target values. Deviations upwards and downwards are possible. These may, for example, be caused by standard factory model variations, the quality of the fuel used, the maintenance and aging condition of the vehicle or the driving habits. 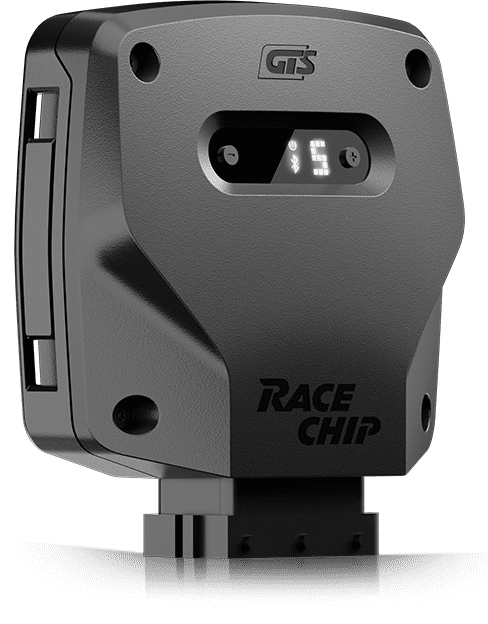 If the indicated performance or fuel efficiency gains are not met, the purchaser must notify RaceChip within thirty (30) days from the day he or she received the product to get a refund.